Fair Intermediate is a key player in the stock market with hundreds of Fair Intermediate Sub Broker working under them across India. Fair Intermediate Investments has its base in Lucknow, U.P and has been operating from there for the last 16 years and has successfully served over thousands of satisfied clients. Fair Intermediate Investments has been really good in providing its services to its clients, customers, and sub-brokers. The people who have worked with the company have rated them an average rating in all the segments. The enterprise has earned a fair share of ratings and feedbacks. They have been deemed satisfactory in all their aspects such as services, products, market share, trading, experiences, etc. Overall, if we take out the average rating of the company, we find out that they have earned 3 out of 5 stars which again proves their worth and efficiency. Fair Intermediate Investments was set up by Mr. Ranjan Kumar Mohapatra in the year 2002. It is a Private firm that provides full brokerage services from its office in Lucknow, U.P. The Sub Broker Activation period for the firm is 30 days while the Payout time does not go beyond a period of 35 days at the maximum. The Share Sub Broker model provided by Fair Intermediate Investment allows several sub-brokers to use the company’s name to do their work. In this model, there is a monopoly of work which means that two or more sub-brokers can work from the same location or office instead of an only person pertaining to each location. The commission that the sub-brokers are allotted to under the Fair Intermediate Investments starts from the minimum of 50%. This amount, as stated above can range higher according to the amount of security deposit made in the beginning. 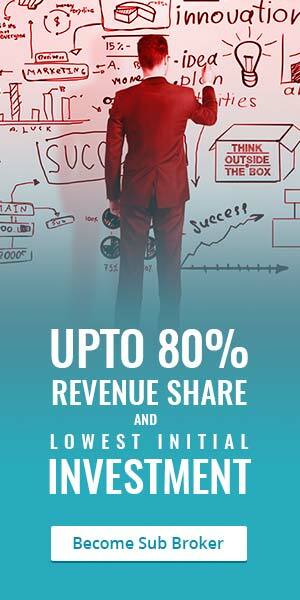 The maximum share in the revenue that the sub-brokers are entitled to be 80% depending upon the leads that they have provided the company with. As for the brokers under the Referral program, they generate a fixed revenue of Rs 1000 per lead that they referred the firm to. For the Sub Broker Model, you will be required to keep a minimum of Rs 50,000 with the firm for you to become a part of the company. However, this money is just a reservation of your binding with the company, and the total amount will be refunded back to you once your partnership or deal with the company is dissolved. The higher the amount that you invest in the security deposit, the higher will be your rate of revenue. The maximum amount that you can deposit with the company is Rs. 150,000. As for the Referral Program model, you won’t have to pay forward any amount as a reservation for your binding. 0.2%-0.4% for equity delivery, intraday, futures, commodity and currency futures. Rs. 30 to Rs. 50 per lot for equity options. Rs 20-Rs 30 per lot for currency options. The charges incurred by the clients working for and under Fair Intermediate Investments are very fair and decent. They have to pay Rs.250 per annum for Demat AMC, Rs.200 as account opening charges, 0.00300% transaction charges and no margin money.